You have just discovered the preferred Agency for Home Health Care. We specialize in multidisciplinary team services for home-bound patients under physician orders. We assist with the needs of the patients who return home from the hospital or skilled nursing facility. 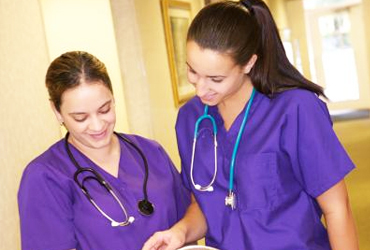 We provide skilled nursing care which consists of services that must be performed by a Registered Nurse (RN) or Licensed Vocational Nurse (LVN) under supervision of a registered nurse. Occupational Therapy is a discipline that aims to promote health by enabling people to perform meaningful and purposeful activities. Speech Language Pathology specializes in communication disorders in speech and language, which refers to problems in communication and in related areas such as oral motor function. 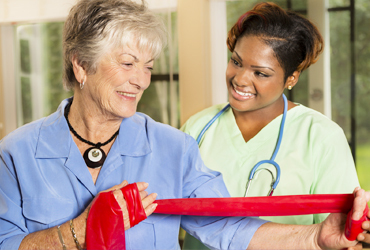 Home Health Aides may also be called homemakers, home health aides, personal attendants, or home attendants. We provide Home Health Aide services to families with an elderly and/or disabled family member to assist the family in care giving. Hunter Medical Services, Inc., Home VA Program consist of Registered Nurses (RN) Case Managers, who along with the patient, the physician, and family , develop and follow a personalized plan of care for each patient. HEALTH INSURANCE PORTABILITY AND ACCOUNTABILITY ACT (HIPAA) mandates Privacy and Security standards for home health caregivers. OUR OBLIGATION: We are required by law to maintain the privacy of Protected Health Information (PHI). PHI will only be disclosed as required by federal, state or local law. HMS makes the difference and is the solution to HOME HEALTH CARE NEEDS. 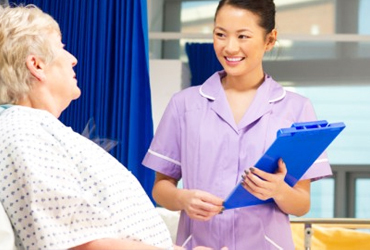 We provide a wide range of comprehensive services essential to the patient's recovery cycle. Our services help make a smooth and transparent transition from hospital to home environment. 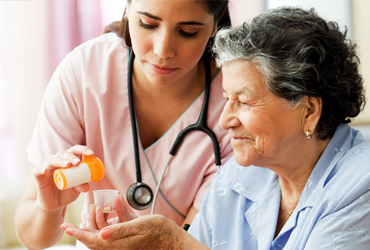 Home care is a vital part of health care, and is more conducive to a shorter recovery, rehabilitation, and recuperation time for patients. The need for home health care services reaches across the American society as a whole. HMS regards each patient and family member with dignity and respect in the delivery of care. HMS provides excellence in the delivery of care and services through a compassionate, well-trained staff under the direction of the physician. HMS supports the community by providing optimum health care services to those in need. Physicians make referrals to HMS with great confidence, because they know our quality standard and proven excellence in clinical outcomes. Patients are highly satisfied with the care and services received from HMS.HMS is on the cutting-edge, maintains highly skilled professionals and state-of-the art technology to accommodate the ever-changing needs of patients, physicians and hospitals, billing, and data transmission. What are some examples of Home Health Care? Doctor's orders are needed to start care. Once your doctor refers you for home health services, the home health agency will schedule an appointment and come to your home to talk to you about your needs and ask you some questions about your health. It's important that home health staff see you as often as the doctor ordered. What are some examples of what the home health staff should do? Check what you're eating and drinking. Check that you're taking your prescription and other drugs and any treatments correctly. Ask if you're having pain.
" I am so thankful for the nurses that came out to see my mother while she was recovering at the hospital. They provided such professional service while serving with compassion. " "The office staff at Hunter Medical was extremely professional. Thanks for helping us throughout this difficult time. " " Thank you for all of your help in caring for me. I couldn't have done it without the great team at Hunter Medical. Thank you again! " You have just discovered the preferred Agency for Home Health Care. We specialize in multidisciplinary team services to home-bound patients under physician orders. Copyrights © 2018 All Rights Reserved by Hunter Medical Services.